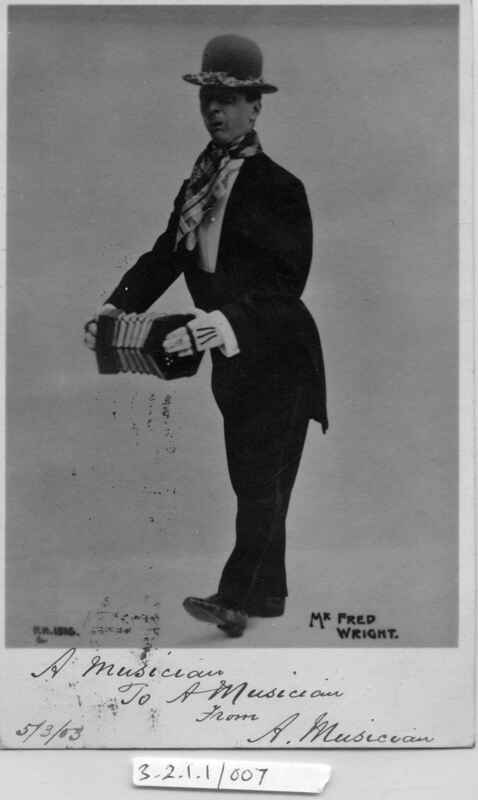 Full Description: An early Photo-card of novelty concertina player Fred Wright. He poses in fancy gloves, scarf, tailcoat and bowler, playing a 2-row Anglo. Signed in the print: “A Musician. To A Musician from A. Musician” and dated in ink 5/3/03. Posted on 6 March 1903, from London EC to Miss Burgess, Lee, London SE.